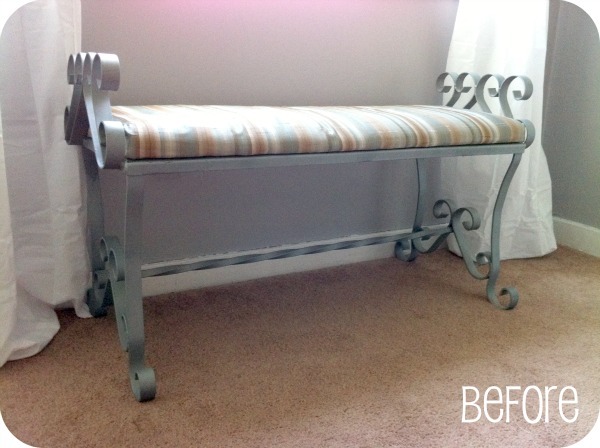 I wanted a little bench to go under my window here since it’s a little bit of an awkward corner. I got this little cutie off Craigslist for $20! 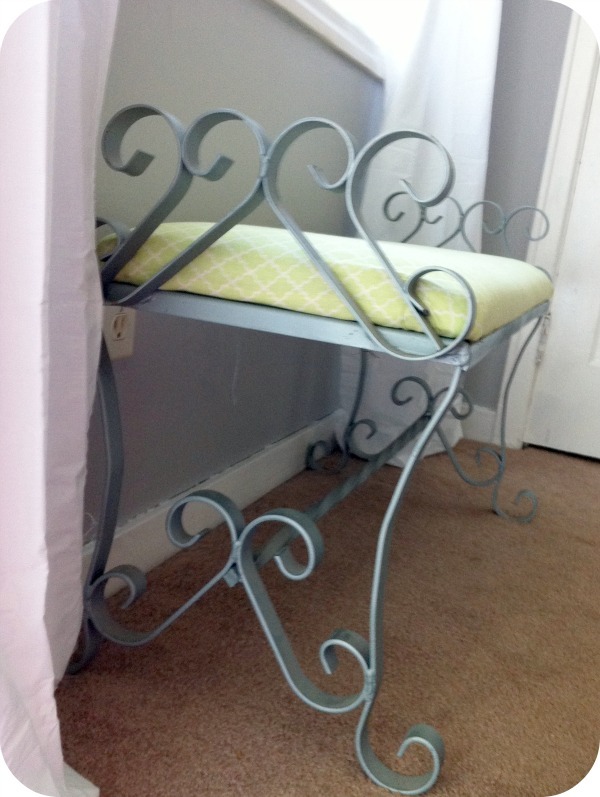 I really didn’t want to spend quite that much but it was PERFECT for this spot and I LOVED the swirly iron details! I went to the girls house to pick it up and right when I walked in, her foyer had grey and white chevron stripes! I was in love! This girl had amazing taste and even emailed me later saying “I can tell you are a DIYer!” hehehe! Anyway, I wasn’t diggin’ the stripes and colors. They were pretty, but not for the room this bench was going in. Hobby Lobby to the rescue. 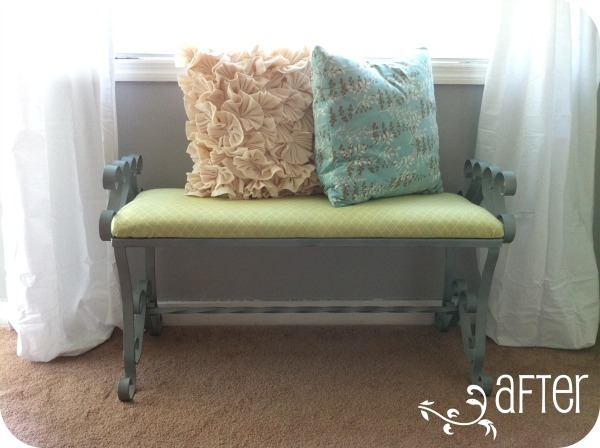 I had actually bought the fabric prior to finding the bench but I was going to use it for throw pillows. 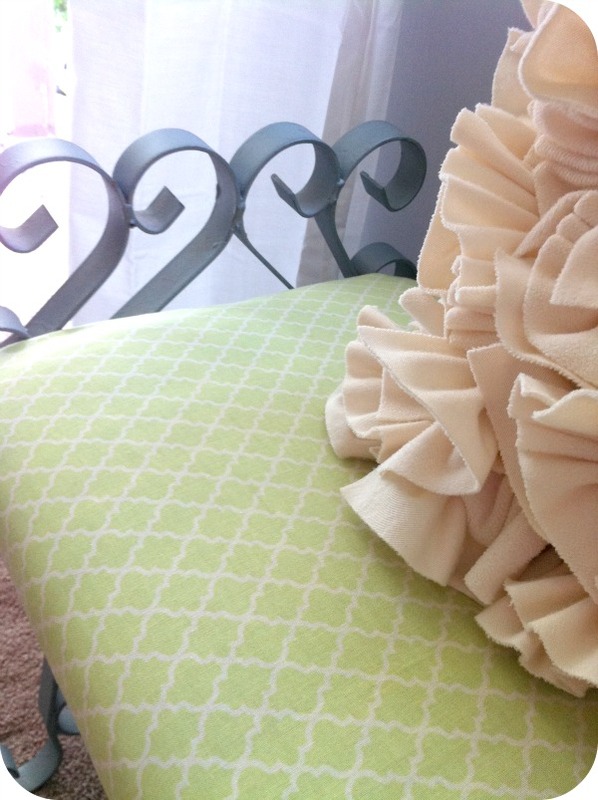 This green quatrefoil had a different fate! All I did was removed the cushion and stapled my fabric right over top! Easy Peasy! Have you found any deals on Craigslist lately?? The pillows are cute as pie.